Dit product is niet langer leverbaar. Zie de nieuwe generatie in het deel voorganger/opvolger of neem contact op met uw locale Endress+Hauser-vestiging. Pressure sensors with CONTITE measuring cell watertight, condensation-free, stable. For foodstuffs, water, wastewater, chemicals and pharmaceutical. Pressure sensors with CONTITE measuring cell watertight, condensation-free, stable. For foostuffs, water, wastewater, chemicals and pharmaceuticals. Operating Instructions Deltapilot S FEB 11/ FEB 17; FEB 11 P/ FEB 17 P.
Partial mounting of the housing. Integration verschiedener Messgeräte und Aktoren in der Campa Biodiesel-Anlage, Ochsenfurt, Deutschland. Die Campa AG mit Sitz in Oc hsenfurt bei Würzburg zählt bei Produktion sowie im internationalem Handel und Vertrieb zu den innovativen Pionierunternehmender jungen Biokraftstoffindustrie. Usage: housing cover F6/F10, terminal compartment cover T3. Usage: DB4x/DB5x, FMX165, FMX167/FMX21 42mm. 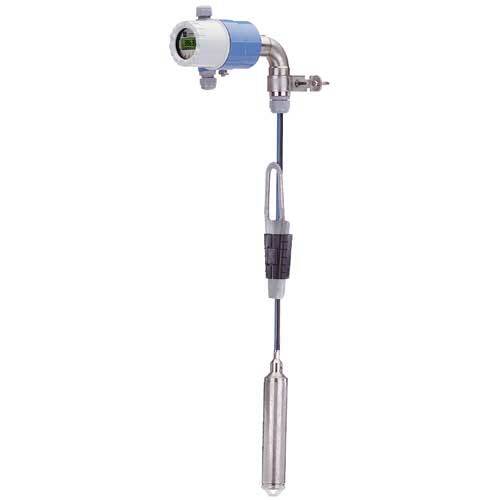 Deltapilot FMB53 hydrostatic level measurement pressure sensor with Contite cell for level measurement in liquid and paste-like media in open or closed containers. Cable version with mounting clamp.